It is clear that in recent times many of these straps are sold with a name such as “portage strap 1st type for paratrooper”, it is necessary to restore certain truths. This white or green strap measures exactly 58 centimeters, with a loop at one end and an iron at the other. 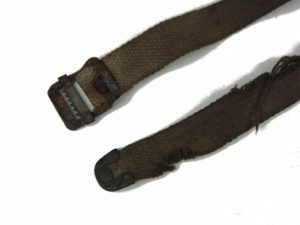 This type of strap is easily found on the foldable beds of the US Army and keep the folded bed during transport. 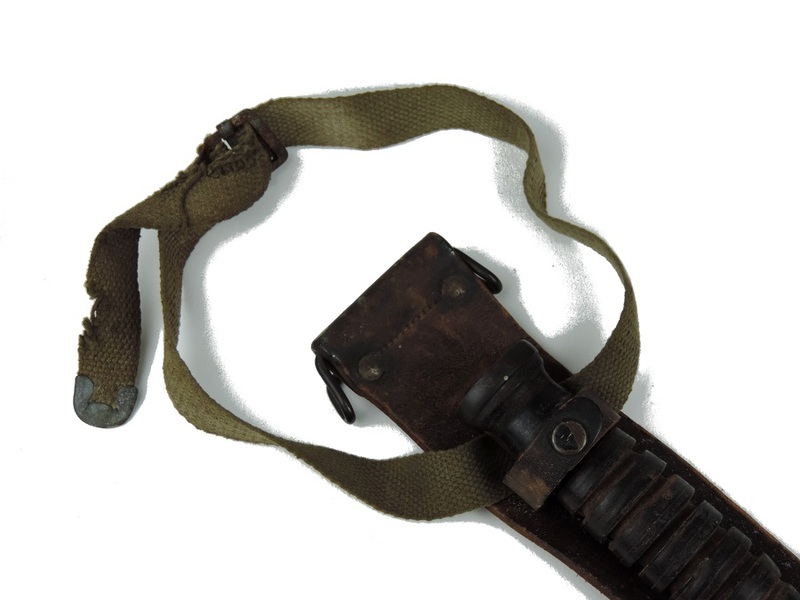 Although some people no longer hesitate to rewrite the original nomenclature of the US equipment for their benefit, this strap is therefore in no way a paratrooper strap at the base. 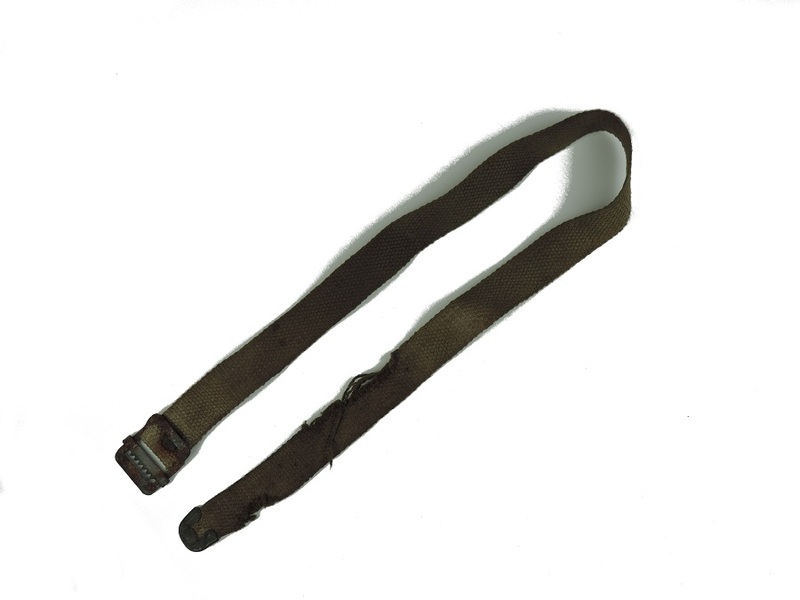 However, it is not uncommon to see paratroopers ready to embark for Normandy on the British aerodromes that actually carry this kind of straps, as well as many other models of recovery straps. These straps, one like the other, allow them to fix certain equipment, including ankles, such as Hawkins mines, US M3 daggers in their sheath, etc … This anecdotal use does not justify the name of any “parachute strap”. 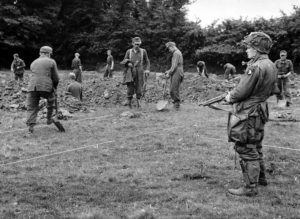 It is only, as in many other cases, rare objects diverted from their original use by US Army soldiers in the theater of operations.